Using Shiftboard, Praetorian increased billable hours by 10% each year, growing the business by 150%. Since 2006, Praetorian USA has specialized in providing exceptional event staff and security services at venues of all shapes and sizes. With a growing workforce of over 800 contractors at 130+ locations, Praetorian was increasingly overwhelmed with the event staffing complexities required to staff over 400 events every year. By providing mobile-friendly access, recruiting tools, reports, communication tools and robust scheduling capability, Shiftboard solved Praetorian’s staffing needs while also enabling growth through operational excellence. Since 2010, billable hours have increased 10% each year since adopting Shiftboard. Shiftboard has enabled Praetorian to grow by more than 150%. Advanced mobile scheduling capabilities were a source of innovation and expansion. On-the-go access empowered workforce engagement throughout the organization. Praetorian’s business model demands that they supply qualified security contractors to a wide-range of events. They are continually pushed to find qualified local staff. Hiring experienced, reliable workers to meet varying demand is a constant hurdle to overcome. 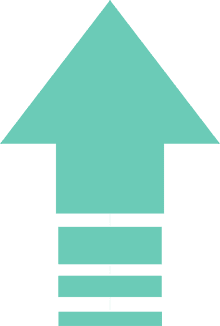 Before Shiftboard, Praetorian developed a massive roster of professionals in the hope that they could assign workers based on availability, qualifications and location. Management was increasingly challenged by changing schedule requirements, tracking time and attendance, monitoring credentials, and coordinating their 800+ remote employees. Praetorian’s initial scheduling automation solution could not adapt to different events, generate operational reports, communicate with staff, or provide mobile-friendly access for their managers and staff. With their complexities mounting, Praetorian turned to Shiftboard to solve their scheduling challenges. With Shiftboard, scheduling errors are reduced by 85%. Many of Praetorian’s managers and staff work from home or on the road. 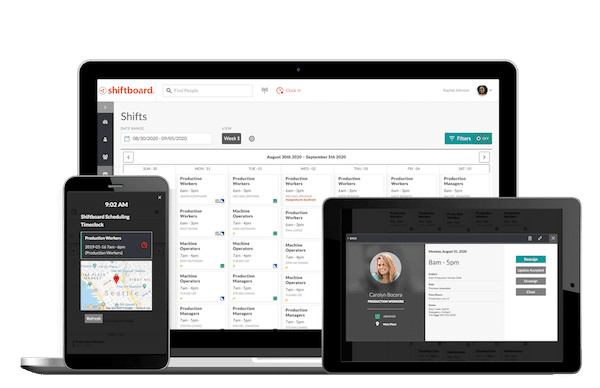 Working with Shiftboard, Praetorian provides managers with real-time workforce visibility, instant communication, and workforce management from any internet-enabled device. Meanwhile, their staff has visibility to real-time schedules as well as the ability to pick up shifts, trade shifts or request time off. To overcome the complexities of managing a workforce of over 800 uniquely qualified contractors, Praetorian separated active from inactive users and categorized their talent pool by factors like residence, skillset, and certifications. Now, they’re able to identify the most qualified candidates to staff each event quickly. In-depth reports and profile data empower managers to make better decisions with real-time insights. Praetorian managers can see when and where staff clocks in, as well as profile notes outlining staff conduct and proficiency. Managers can also confirm important details like attendance or unfilled shifts. Immediately knowing when and where people are needed allows managers to staff appropriately and proactively address issues like understaffing. Praetorian manages security and staffing logistics for 6-9 events per week, 52 weeks each year. With regular last minute changes, each event requires processing and distributing massive amounts of information in real-time. By implementing Shiftboard’s targeted communication tools, Praetorian managers can find exactly the staff they need, and contact them instantly via email or text. They can also automate reminders and announcements to go out to the specific individuals, teams, or managers. Recruiting and onboarding processes are a fact of life for most security firms. Using Shiftboard, Praetorian streamlined the application process to cut down on paperwork and turnaround time. With Shiftboard’s straightforward interface, Praetorian can easily onboard and train users of all backgrounds and skill levels. In security, thorough planning and precise scheduling are key to a successful operation. The ability to accurately assess people and resources by details like location, event criteria, functions, and licenses is crucial. Using Shiftboard to upgrade their preparation allows each manager to have a more complete understanding of their staffing needs. Since 2010, billable hours have increased 10% each year, and their overall business has grown by more than 150%. Beyond their improved revenue, Praetorian has leveraged Shiftboard’s added capability to innovate their services. For example, Praetorian developed a Child Tracker program. This program stores and categorizes specific details for the children in attendance (such as name, age, guardian info, and what they’re wearing) collected from their guardians as they enter an event. That way, if a child becomes lost Praetorian can easily access and share identifying data with staff and visitors as quickly as possible. For Praetorian USA, Shiftboard is an operational asset that goes beyond scheduling. Managing people, coordinating teams, monitoring shifts, onboarding recruits, communicating updates, and gaining operational insights is central to their security event planning and execution.